We’ve been on the move lately at ClassPass and are growing our partner network! 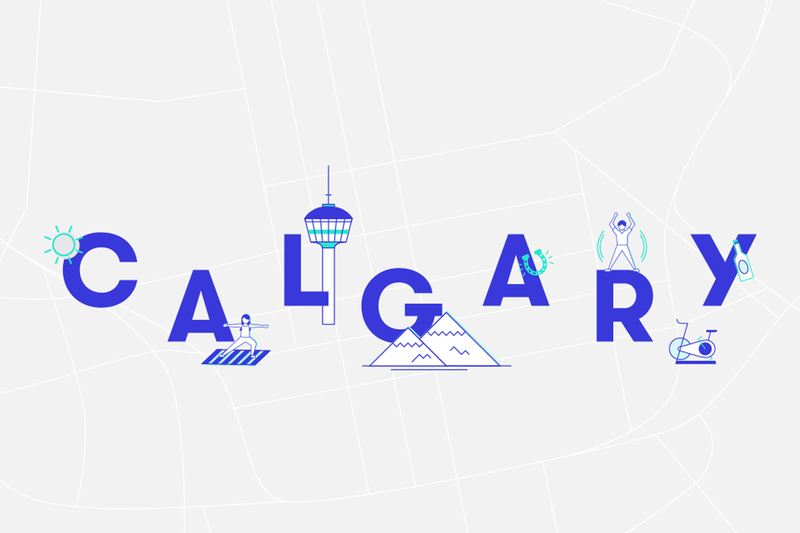 We are excited to welcome three new markets to our community: Calgary, Cincinnati, and Salt Lake City! To celebrate the launch of our new markets, we chatted with studio owners in these cities to learn a little bit more about what makes their town unique and what’s next for their fitness scene. Calgary is known for being a progressive city with an entrepreneurial spirit. Many communities will rally around local start ups and support original concepts with local origins. We’ve learned that you don’t have to be a big brand to build a following but if you create a unique experience that clients connect with, you can build your own community. If you create a unique experience that clients connect with, you can build your own community. The boutique fitness scene in Calgary has exploded and we attribute that to a desire to connect with others and be part of a community with like-minded individuals. Whether spin or boxing or barre, there are strong offerings for people who want to hand-pick their experiences rather than going to a big box gym where you might not achieve the same result and satisfaction as you would in a boutique setting. The quality of instruction in Calgary sets us apart. There is a perception that the grass is greener in larger, celebrity markets such as New York or LA – and absolutely the calibre is very impressive there – but I am always impressed by, and grateful for, the quality of trainers and instructors here. There is definitely a pack who could rival the top trainers in the big cities. I am always impressed by, and grateful for, the quality of trainers and instructors here. We’re also seeing an evolution of the local sweat celebrity. There are certain instructors you need to book 1-2 weeks out for. With the volume of sweaty destinations there’s pressure for instructors to develop a strong personal brand and following. I moved to Cincinnati from Chicago in mid-2016 to start my studio. While Chicago’s boutique fitness market is mature, Cincinnati’s by comparison is emerging and rapidly developing. It’s a very exciting time to be a part of this community! Cincinnati’s fitness market is emerging and rapidly developing. I think what makes this market unique is that it’s still very fragmented. Clients develop loyalty to one studio – and just like other cities, convenience to home or work is a major factor in where people what to spend their time and money. We’re not seeing a lot of cross-over between studios – ClassPass will be a wonderful way for clients to experience other fitness options, at an affordable price. Additionally, when I was choosing a location for The Barre Code, I was astonished by how few options there were (are) in downtown Cincinnati. This is only going to grow as there are several luxury apartment and condo buildings in development, as the demand to live and work downtown has surged in the past few years. 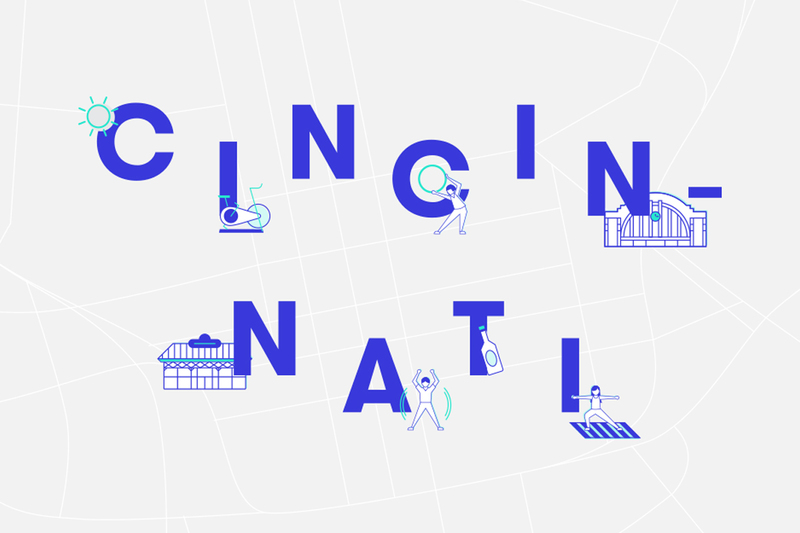 Since we are the home of P&G and other innovative companies, Cincinnati folks have the mindset of a “test market,” meaning, as a general population, we have a keen eye for what works. The boutique fitness market is no exception. The city, and its surrounding neighborhoods, are full of super bright individuals who both work and play at studios and keep the wheels turning. There is a push for unique and inspired fitness around every corner. Health and wellness have taken a front seat and you can see how it is filtering into everyday life. Whether that’s seeing athleisure fashion on every other individual in your supermarket, or attending one of the many new 5Ks around town, there is a push for unique and inspired fitness around every corner. Salt Lake City is home to a really rad hotbed of entrepreneurs that are all local and many businesses are female-owned (girl power!). Fellow studio owners support each other and believe in the power of the collective. Meaning, I think there is plenty of space in the market for all of us. We each have our brand story to share of connects us with our people. Our rationale is do what you’re good at, what works for our people and don’t worry what everyone else is doing. Do you, because that’s all you can do. Salt Lake City is home to a really rad hotbed of entrepreneurs. We’ve recently added hot pilates to our studio because we are seeing a trend coming our way. Lots of studios do hot yoga, which we love and also do, but no one else does hot pilates. Think sculpt yoga but with pilates basis and cardio bursts to rock your world inside a 90 degree room. 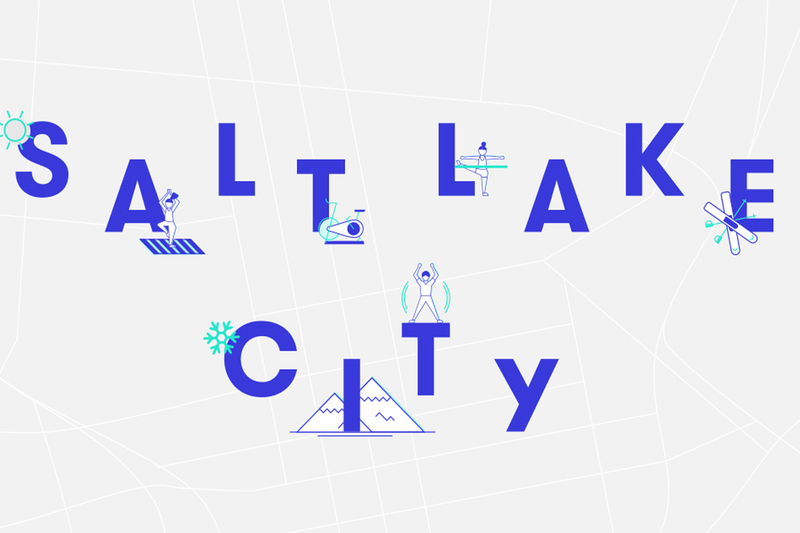 Salt Lake is a big place with lots of room for growth and a culture that is obsessed with supporting local, so we only see upward mobility in our future. The Salt Lake City boutique fitness scene is blowing up, to say the least! Until last year, we really only had a handful of studios, but this year, it seems like we hear about a new spot opening up every few months. I’m so happy to see all the new and old studios pushing the norm of fitness and what “working out” can be. We are starting to have such a diverse gym scene, from us (Rebel Cycle) to new reformer Pilates studios, diverse yoga spots and much more. It’s amazing to watch our little (growing) city start to latch onto the group fitness trends that have been so popular across the county for so long now. I’m so happy to see all the new and old studios pushing the norm of fitness and what “working out” can be, and that people are catching onto it!